The triumph of 9 April 2003 is already over and the path to retreat is already under way and it seems that we the genuine nationalists are the only losers while the regional and foreign states are the only winners and at the same time the only culprits in fomenting this slow but steady civil war; the two governments formed after 9 April 2003 bear the responsibility for this in that they diluted deliberately the triumph of our people on 9 April 2003. The nature of the two governments asserts a sectarian division not avoids it and this consequently will have tragic results as the streets of the country are witnessing daily. An alternative to this would have been the gradual reformation of the past system until justice had been done to all. The crucial mistake for the post 9 April 2003 governments is that they failed to bring to justice the criminals of the past regime and by this they have allowed the remnants of the past regime to regroup and restructure in various ways aided and abetted by regional and foreign states. The retreat from the aims of 9 April 2003 started at the arrest of the former dictator in December 2003 and that ushered the end of the new era of ‘liberation’ not the end of the past regime. The former dictator is bound by a deal with Britain following the retreat of the dictator from Kuwait. In that deal Britain promised to work for the past regime while the dictator promised to work for Britain’s interests. 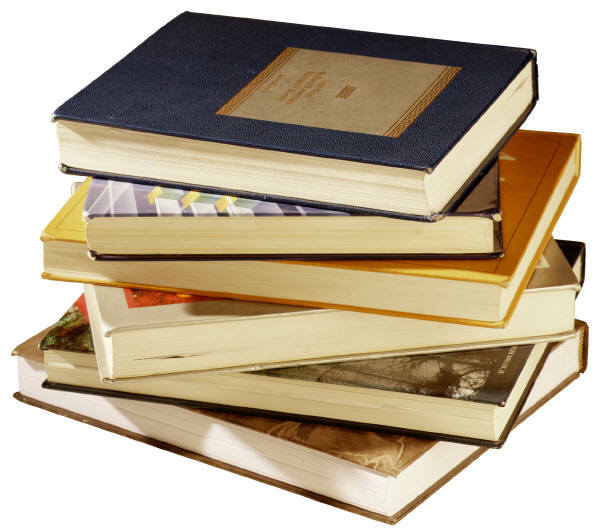 History books and documents will be on exhibit. Authors and Book vendors are welcome to participate. Free space will be provided. 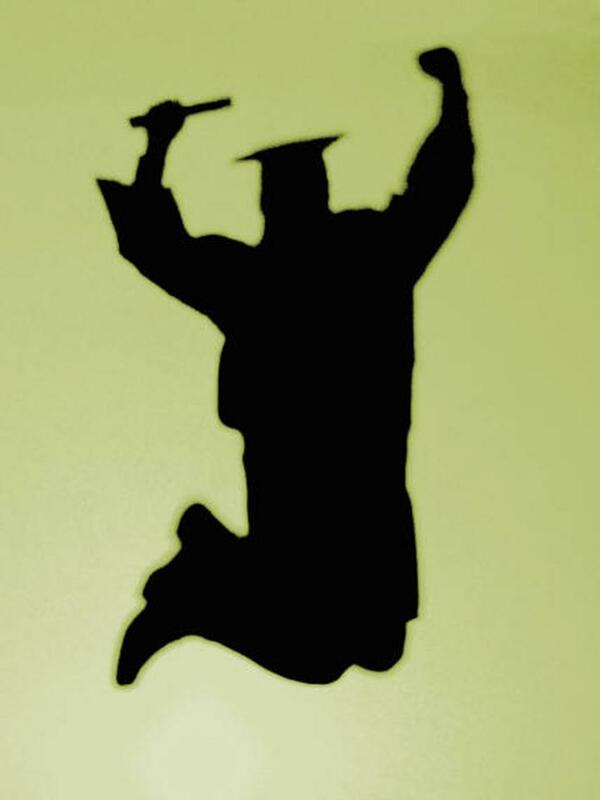 Applications for upcoming AAASC's Paul Alex Youhanan Scholarships will be available. In December 2003 the followers of the former dictator re-established a base in Britain with direct links and coordination with Britain’s intelligence and police. Many new agents of the past regime had arrived in Britain in 2004 and now they patrol the streets of Britain spying as before with the coordination of Britain’s intelligence. The past regime is solely responsible for the ongoing civil war in Baghdad because when gained power in 1968 they vowed to remain in power whatever the cost and keeping in mind the defeat of the past regime on 9 April 2003 did not come suddenly because the plan for the war of liberation took many months and the fall of Baghdad happened after weeks of assaults on the south. All plans for civil war and insurgency were drawn in advance in order to abort and subvert the new beginning in Baghdad after 9 April 2003. The former regime also regrouped in Jordan and Arab Emirates. In the former it hosts the remnants of the dictator’s family who act on his behalf and in the latter it hosts the former elites who were not indicted for tribunal or who were not included in the ‘deck of cards’. It is reported that the past regime has regrouped in some other countries. The ‘reconciliation’ conference held in the homeland was organized by Britain’s intelligence where Britain was represented by an Anglican vicar as a disguise and in that conference the ‘de-Baathification’ was reversed and ‘re-Baathification’ implemented; in that process Lakhdar Brahimi played a key role approved by the first interim government. In fact the first government backed by Britain was behind the dilution of the victory of 9 April 2003. Britain, Jordan, Arab Emirates and Lakhdar Brahimi are related by marriages. The monarch of Jordan is a half British by blood and in fact as Zinda magazine pointed out before he is the grandson of a British colonel and when he was selected as king he was derided for speaking English better than Arabic. Lakhdar Brahimi is related by marriage to the Jordanian monarchy and the latter is related by marriage to the Arab Emirates’ Sheikh. All these states are involved in the civil war for directly supporting the past dictator, his family and the remnants of his regime. All neighbours and regional states want a feeble and crippled state of Baghdad but the Syrian government is not involved in this civil war because the two regimes were vowed enemies and only in the last few years they both came to realise that they are no longer a threat to each other. Syria’s stand is that she does not welcome an enemy next door but blaming Syria is an excuse to topple the last and the only regime established according to the mentality of the sixties’ politics. Currently the easiest way for foreign fighters to enter Baghdad is via Syria because once in Syria the next day they cross the frontiers, something not simple via other routes. The insurgency aims two things slaughtering native people and killing American soldiers, the first discredits the new establishment by building fear in the psyche of the population and the second targets the Americans because they are labelled as occupiers; Britain has just under 10,000 soldiers in that land and no one says Britain is an occupier and none of its soldiers is targeted. All their victims are caused either by failure of their antiquated military equipments or by minor explosions committed by amateurs. In fact Britain keeps herself afloat in that land by secret deals with the parties involved to avoid casualties because Britain is a small and poor country and cannot afford casualties as the USA; people in Britain will revolt against the establishment if it gives high casualties even in proportional to USA. For the time being Jordan, Arab Emirates and Britain are fueling the civil war in Baghdad and in return Britain will remain a sanctuary for the past regime and the past regime will grant that Britain’s troops are not attacked. Further Britain will do its best to try the dictator internationally to save his life or to commute the death penalty if tried at home. This civil war will continue as long as is fueled from outside especially by Britain, Jordan and Arab Emirates and unless the new establishment asserts itself by naming the outside states involved and adopts a national programme the people wants. Also it must turn away from sectarianism and move out of the ‘green zone’ in order to establish its authority and ask the British troops to leave and put a timetable for the rest of the foreign troops to leave otherwise this new government is bound to fail. So far so good for the dictator and everything is to his liking as his lawyer have said recently that his client is in good health and in high spirits. The current president of Baghdad, a Kurd, declared he will not sign the death penalty on the dictator if condemned. Why you execute somebody who killed 5000 Kurds in Halabja as the Kurds say? (ZNDA: Damascus) The Syrian-Belgian joint excavation mission in northeast Syria has recently discovered some cuneiform tablets dating back to the neo-Assyrian king Shamshi-Adad, ca 1800 BC. Head of the Belgian team of excavations says that after the discovery of the stamp, the team has started the excavation at Shager Bazar Hill in Hassaka, northeast Syria. Head of Hassaka Directorate of Archeology, Abdul Massih Baghdou, said among the unearthed findings this year are "buildings dating back to 1800 BC." He added: "There are a collection of cuneiform tablets and potteries in addition to the buildings dating back to 5000 BC." 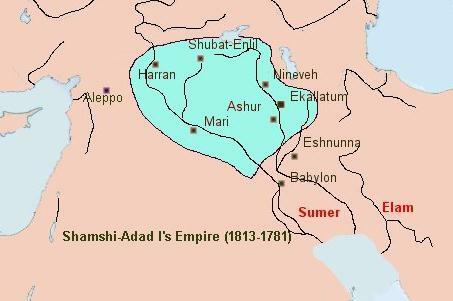 King Shamshi Adad was an Assyrian king who ruled Mesopotamia in Iraq and northern Syria during the Middle Assyrian Period. The changes which have occurred in the Iraqi political arena in general and the Assyrian one in particular lead our parties into political peril as a result of their complete deviation away from their paths. We designate here the Assyrian Patriotic Party. It’s not hidden for those who are aware of the Assyrian Patriotic Party’s political program, how there was a great transformation in its position leading to a complete deviation away from its original path. This wasn’t a result of the painful reality which is lived by our Assyrian Nation, nor did it come from differences in opinion as some of the leaderships in some Assyrian parties like to boast, rather the change was the result of narrow party interests, the leaderships struggle over positions as well as the hot race over vacant seats in the Iraqi National Assembly, in addition to other individualistic interests which pushed these parties to take a risk and choose falling into an abyss as a remedy to their political stumbles rather than perseverance and strife until the realization of what’s written in their political programs which are supposed to be the constitutions which direct their paths. Following all the years of scarcity, the APP leadership preferred to follow the desires of those parties which are considered to be Assyrian, beginning with the ill reputed national conference to the Iraqi elections where as Assyrians we didn’t gain any thing except disappointment and failure. The APP leadership had its bet on the elections and the Iraqi National Assembly to guarantee its presence on the Iraqi political arena, thus it ran around behind the novelty people and relinquished all that it had called for over the past years, jeopardizing in the process the Assyrian name as well as the Assyrian national existence, which are the main points in the party’s political program. This can be considered a treachery to the principles which the APP was founded upon. The APP leadership deformed its constitution when it blocked its ears to all the calls of its members in Iraq and the world, which shows its obstinacy and tyranny in opinion and a violation of the party’s calls for democracy. Had these calls been answered, the leadership wouldn’t have fallen into the swamp of stagnant novelties which they are trying to embellish with some bulletins and publications so that they may seem to be on the path of deliverance leading to the Assyrian rights. The APP leadership has declared its political bankruptcy the moment it deviated away from the Assyrian national path, and we are sure that it’s unable to keep pace with the changes which are overcoming the political arena, thus its swinging bulletins are the best proof, because what’s considered as a possibility in the art of politics doesn’t necessarily mean to change with the changes and completely stray away from one’s beliefs and faith. The possibility though is to firmly stand to face the changes and strife for one’s beliefs and faith. Therefore, we in the Assyrian Patriotic Party – National Stream, see that the present APP leadership has completely deviated away from its political program and left its path. It even went further when it overlooked its own people in the Assyrian slate and went on to hold deals as well as suspicious coalitions so that it may have a seat in the honorable assembly, not to forget the random and wrong decisions which were the result of its actions. The party had to endure all this paying a price through its members and supporters against its will, thus this leadership doesn’t represent the party in any form nor is qualified to lead it. 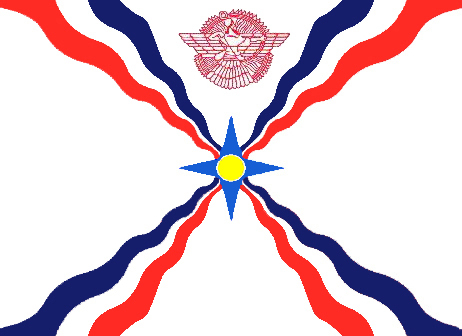 We in turn urge our brethren who had resigned or went into seclusion away from political tasks and those members whom we expect will resign, as a result of the bad leadership of the APP, we call them to join the Assyrian Patriotic Party – National Stream in order to straighten the party’s path into the right course leading to the Assyrian rights, may God grant us success. (ZNDA: Sydney) The plight of Chaldo-Assyrians in Iraq was highlighted in Federal Parliament last week, but community groups fear little can be done to help their oppressed relatives. Prospect MP Chris Bowen introduced a petition to Parliament from the Chaldo-Assyrian community requesting the Australian Government establish a policy to protect the Iraqi minority group. The motion was seconded by Calwell MP Maria Vamvakinou and passed on Monday 23 May. 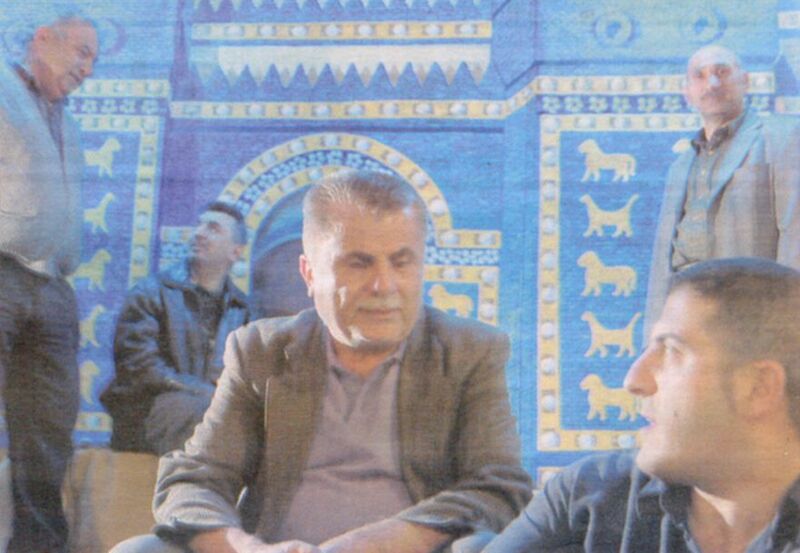 Victorian Chaldo-Assyrian Council treasurer and Campbellfield resident David Chibo believes the Australian, United States and British governments were responsible for the deaths of more than 1000 innocent Christian Assyrians in Iraq since the start of the war. Fears for family...Members of the Chaldo-Assyrian community (from left) Charib Kunda, Walid Bidweed, Yousif Fransis, Mikhael Hozi and David Chibo are concerned about the plight of the community in Iraq. Photo by Damjan Janevski. "They were also responsible for a further 50,000 Chaldo-Assyrian fleeing their homelands," Mr Chibo said. He said Federal Government had recognised the community's problems, but it was a far cry from addressing the problems. The Hume based Assyrian-Chaldean Women Association (ACWA) said it was glad the issue on the agenda, but questioned how it would stop the massacres in Iraq. ACWA treasurer Lyda Dankha questioned the government's commitment. "It's just a motion. Who is going to enforce it?" she said. She said since last August about 100,000 Chaldo-Assyrian people had fled Iraq and were stranded in surrounding countries such as Jordan or Turkey. "A solution would be if the issue was put on the Department of Immigration's agenda to look at the thousands of people stranded," Ms Dankha said. "Some of those people have been stranded for 11 years with no health or education rights, just hiding within communities. "But we are not really getting our hopes up." Mr Chibo suggested the [Australian] government needed to remove its troops from Iraq and provide economic assistance to rebuild Iraq's infrastructure. He also suggested that Chaldo-Assyrian refugees who had fled Iraq as a result of the [Australian] Government's actions should be granted special status. "We pray for peace in our homeland," Mr Chibo said. Calwell MP Ms Vamvakinou said in recent months and years, churches and monasteries had been attacked and people had been killed. "We are talking about terrible atrocities which would undermine any community," she said. "It is important that the practice of ancient [Iraqi] customs, language and traditions be maintained and that all minority groups in Iraq be allowed freedom of expression and freedom of religion." (ZNDA: Sydney) The names of some 80 builders who have been using fake qualifications to carry out work throughout Sydney was revealed on 30 May. 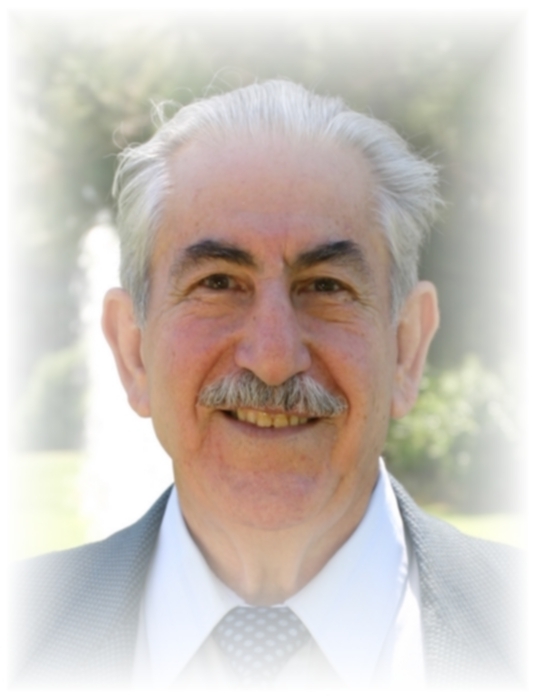 Among these are a few Assyrians, including the long-time representative of the Assyrian Democratic Movement in Australia, Mr. Fredrick Auraha. The Office of Fair Trading released the list to name and shame the builders found to have obtained their building licenses fraudulently (click here). The builders' licenses were cancelled after ICAC uncovered a scam in which TAFE records were altered to replace the names of people who'd passed courses with the names of others not even enrolled. So far authorities have established that the fake builders worked at 94 sites across Sydney, but admit "there may be more". The fake builders - and electricians and plumbers - mainly worked on new units, duplexes and villas in Sydney's west and south-west, at Merrylands, Punchbowl, and Padstow. A special investigation by The Daily Telegraph last year found that 115 licensed builders have been banned for life or had their licenses suspended for shonky work. A further 407 were found to be illegally operating in a two-week blitz on New South Wales building sites. Fair Trading Minister John Hatzistergos told The Daily Telegraph authorities last year received 6200 complaints about builders and tradespeople's work. The Office of Fair Trading is awaiting the ICAC's findings on whether to recommend criminal charges. It's a safe bet that Saddam Hussein would hate Dali Sabih's new music video. Some Arab television stations don't like the video clip either, although it's a hit with many Iraqis both inside and outside Iraq, thanks to the power of the Internet and satellite TV. The video, which Sabih, a 28-year-old Iraqi exile living in Phoenix, directed and co-produced, features none of the violence and gore viewers get from nightly news accounts of the war in Iraq, which has killed thousands. Instead, the video, sung in Arabic with English subtitles, is filled with warm and gauzy images layered over a soaring Western pop-music soundtrack. It is Sabih's way of celebrating Iraq's freedom from three decades of Saddam's rule, and it expresses hope that the Iraqi people can live in unity again. Filmed in Phoenix and Scottsdale, the video tells the story of an Iraqi painter living in exile. After watching the toppling of Saddam's statue on television, the artist returns to his homeland, where he is tearfully welcomed by his parents and finds the country's splintered ethnic and religious groups living harmoniously in freedom. "I wanted to say, 'Saddam is gone and there is a new life for Iraq,' " Sabih explained. Like many Iraqi exiles in the United States, Sabih supported the U.S.-led invasion of Iraq and the overthrow of Saddam's regime. He believes the insurgency, which reportedly has killed more than 620 people since Iraq's new government was announced April 28, is being carried out by a minority of former Saddam supporters, joined by outsiders from other Arab dictatorships who view democracy as a threat. The video is titled Ana Hurra, Arabic for "I'm free," and is sung by Baghdad-born Linda George, a striking Assyrian-American singer and songwriter from Modesto, California, who is known internationally. The video's release in January coincided with the Iraqi elections on January 30, when millions of Iraqis risked death to cast ballots for the country's first democratically elected government in modern times. George has recorded the single, which was released Wednesday. The video's message of freedom, however, has not guaranteed the song airtime in Iraq. Sabih said he is frustrated because some Arab TV stations in the Middle East have dismissed his video as U.S. propaganda and have refused to show it. In much of the Arab world, the U.S. occupation of Iraq is viewed as a war on Islam rooted in American imperialism. One satellite station in Jordan with a wide audience in Iraq told Sabih that the station wouldn't consider broadcasting the video until he removed a scene showing the toppling of Saddam's statue. Sabih refused. For many Iraqis, the collapse of the statue symbolized the end of three decades of tyranny and repression. Other stations told him that even if he removed the scene, they wouldn't broadcast the video. The problem is that many of the people working at Arab stations outside Iraq are Baathists who supported Saddam, Sabih said. "I told them it was Saddam who occupied Iraq for 35 years, and I think Iraq is free now from Saddam," Sabih said. Sabih has had better luck with satellite TV stations based in the United States and with the Internet. The video has been broadcast on Dandana TV, a 24-hour Arabic music channel in Rochelle Park, N.J.; TV Orient, a Middle Eastern satellite station based in suburban Detroit, and Al-Hurra TV, a U.S. government-funded Arabic satellite television station produced in suburban Washington, D.C. Aljeeran.net and other Iraqi and Arabic Web sites also have posted the video. After the video was broadcast on TV Orient, the station received several telephone calls and e-mails from Iraqis asking the station to show it again, program director Suha Qassim said. That was unusual because viewers rarely call unless they really like something, Qassim said. "It's a wonderful song," Qassim said. "The message says, 'Iraqis are free and this is what every Iraqi dreamed about.' "
Al-Hurra TV, which the U.S. government launched in 2004 to counterbalance anti-American reporting from Arab news sources, also received about a dozen telephone calls and e-mails after broadcasting the Ana Hurra video three times in February, said senior producer Ali Abdul Ameer. Ameer said the subject of the video represents a political and musical milestone for Iraqis. "It's the first song celebrating the freedom of the Iraq people," said Ameer, a native of Iraq who was the former music critic for Al Funoun, an influential Arabic magazine. Under Saddam, only music glorifying the Iraqi dictator was broadcast in Iraq, Ameer said. Some Iraqi singers living in the Middle East have denounced the war. But inside the country, many Iraqi singers are beginning to write songs celebrating freedom and democracy, Ameer said. Ana Hurra is more sophisticated because singers in Iraq don't have access to high-tech recording studios and video equipment, he said. "It's got the whole package: good music, good lyrics and good video clip," Ameer said. Dali Sabih studied software engineering and made educational programs for Arab Radio and Television in Baghdad. In 1998, he was prompted to leave Iraq after he was interrogated by Saddam's security forces about his father's political involvement. He moved to Jordan, where he edited commercials, music videos and educational programs in Amman, the capital. He came to Phoenix in 2002 with hopes of eventually moving to Hollywood. Linda George (center) at the filming of the Al Hurra video in Arizona. In Phoenix, he got a job editing and shooting commercials for the Bryan Media Group. In his spare time, he began taking courses in the motion picture/television program at Scottsdale Community College. Sabih filmed Ana Hurra last December as part of an advanced film course. Katherine Atwell-Herbert, chairwoman of SCC's motion picture/television program, said that Sabih is among her best students and that his video impressed her. "His intentions were very noble: to get Iraqis to join together and look to the future," Atwell-Herbert said. "It moved me." Sabih said the idea of creating an Arabic-language video about the future of Iraq came to him after watching the toppling of Saddam's statue on television. He shared his idea with James Darmo, 36, an Assyrian-American friend born in Iraq. Darmo suggested Linda George, 36, who is well-known among Assyrians all over the world. Sabih listened to some of George's recordings and liked what he heard. 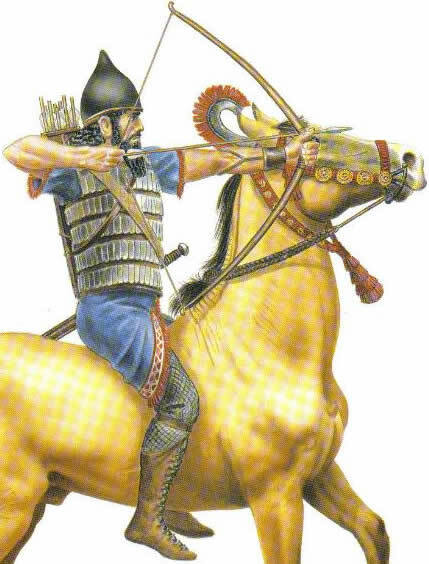 The only problem was that George usually records in Aramaic, the language of the Assyrians, not Arabic. In 2003, Sabih met with George, who was in Phoenix performing at an Assyrian-American wedding. That night, George sang some songs in Arabic, and Sabih was convinced that she could do the video. Sabih, a Muslim, and George, a Christian, talked after the show, and Sabih pitched his concept about making a video. George told him she already had a song in mind about Iraqi freedom. She had even written some of it. Sabih then asked another Iraqi friend, Toronto-based playwright Mohamed Al-Jorane, to finish the lyrics. Meanwhile, Darmo agreed to co-produce the video, which was recorded with top Arabic musicians at a studio in Beirut. Darmo's brother-in-law, Phoenix convenience-store owner Robert Shawil, helped bankroll the recording. As the project evolved, Darmo and Sabih came up with the idea of filming the video with people representing Iraq's many different ethnic and religious groups. "We tried to show the union of the Iraqi people and the hope of working together for the future," Darmo said. Sabih filmed most of the video at the Scottsdale Civic Center Mall with 50 members of the Valley's Iraqi-American community, which over the past 15 years has grown to more than 15,000 people, according to community leaders. The video features George dressed in a white gown as a sort of modern-day Iraqi princess surrounded by men, women and children, some wearing traditional Assyrian, Kurdish and Arabic clothing representing Iraq's different ethnic and religious groups. "I'm free," George sings, against the backdrop of the painter returning to friends and family in Iraq after years of sadness and suffering. "And I will live free, in my homeland, I will forever be free." At first glance, I was confused to read that Sargon Dadesho was chosen as Man of the Year for 2004. I hurt my head trying so hard to think of a single achievement that was not motivated by personal ambition. However, after reading the article, I can only praise your wonderful writing skills and tongue-in-cheek wit. All became clear. I never thought I would say this but, by the end of it, I almost felt a tinge of sympathy for him. Expect to hear from his very busy lawyers soon! In this past week's issue, many people have posted messages in outrage and disappointment with Zinda's designation of Sargon Dadesho as Person of the Year. Every one of them assumed that the designation "Person of the Year" is a positive accolade. This is where they are wrong. Time Magazine first came up with "Person of the Year" designation. Accordingly, the editors of this magazine discussed and deliberated over who they felt was the most noteworthy individual. Ayatollah Khomeini, Adolph Hitler, and other infamous people have been chosen for this designation for precisely this reason. Time Magazine has always made the measure of whether a person has been newsworthy as the paramount criterion of the "Person of the Year" designation. Whether the person chosen is a positive influence on a community or a larger society is entirely irrelevant. Now, I hope no one thinks I am comparing Dadesho to the historical figures I just mentioned. I'm just saying that the "Person of the Year" designation does not necessarily have to be given to a well-liked individual. I personally can't stand Sargon Dadesho. He is a divisive hypocrite who has brainwashed many of our uneducated parents and grandparents in the Central Valley with his anti-Zowaa rhetoric. I give him credit for establishing the first Assyrian satellite network, but that's where the credit stops. It didn't seem like Zinda was praising Dadesho. I read the "Person of the Year" article and it sounded like the magazine was not thrilled to give Dadesho this designation. The article did heavily criticize Dadesho, while giving credit to his accomplishments with regard to AssyriaSat and Bet-Nahrain Inc. To me, this is fair and balanced journalism, and it seems to me that those who wrote in to Zinda may not have read the article. If they did read it, I doubt so many of them would criticize the magazine the way they did, or even ask that their subscriptions be canceled. The United Nations Development Programme and the International Organization for Migration are jointly implementing the Iraqis Rebuilding Iraq Programme (IRI) in coordination with the Ministry of Planning and Development Cooperation of Iraq. The Programme is designed for expatriate Iraqis with professional and successful backgrounds to undertake short term assignments of up to one year in Iraq. The Programme targets those needs identified by Iraqi ministries which are deemed essential for the reconstruction and development of the country and that are not immediately met by the human resources within Iraq. To date, the participating ministries have submitted to our office over one hundred requests for such experts. Type of expertise needed varies from management, engineering, human rights, IT, social development, environment, medical, law, science and technology, agriculture and many more. All details on the programme, eligibility criteria, etc are available on the official website (click here). Interested candidates will be able to down load the application form available on the IRI webpage, fill it in and send it by email to our Amman Management Unit, at irisupport@iom-iraq.net. In order to facilitate the access of the Iraqi nationals abroad, we would be grateful if you could pass this information on to Iraqis expatriates that visit your organization. Posters and leaflets are available in English, Arabic and Kurdish. Let us know how many you wish to receive according to your needs, provide as with the mailing address of the organization, and we will send them to you in the coming days. We highly appreciate your support in promoting the IRI programme among professional Iraqi expatriates in your region and do not hesitate to contact us, should you wish to receive any further information/clarification on the programme. Why Not Call Things by Their Real Names! We keep on repeating and insisting or spinning on some ‘facts’ that are publicly denied and religiously and officially rejected by the majority of the non ex-Nestorian ‘Assyrians’ because the problem is not ethnicity at all, but rather a pure religious faith conflict. Yet no one dares to admit this fact and avoid discuss whether we really accept each other irrespective of our faith. It is obvious that our various and conflicting religious faiths played very important role in preventing our people from working secularly together and to have one unified agenda that can be presented to the Iraqis and to the International community as well. This fact was clearly reflected in a recent poll conducted by ankawa.com to choose the preferred name that should identify our people in the Iraqi constitution. The results of this poll in which almost 3000 votes were collected only reflect the shameful divisive views and the real threat we are facing. Unfortunately the ‘unity group’, as I prefer to call those who accepted their brothers from other factions with a conjunct name solemnly for the sake of the unity, could not achieve the desired results and are very few (17%). The rest are two major groups, those who strictly support separate identities (Assyrian 24%, Chaldean 19%, Aramean 6% and Syriac 3%) and those who want their unity to be based on religious roots ‘Suraye’ or simply Christians (31%). The former group, or the separatists, who don’t really care about any unity and even though they made as a whole (49%) of the total votes have no effect of whatsoever when considered individually. Whereas the latter group could be of some significance on the long run being a step toward some sort of unity even though it is based on religious principles, which could be (for an optimist) the cornerstone that could develop into ethnic unity in the future as well. I dare anyone who claims that this shameful division is not purely of religious bases! Who Says A Website Can't Be Judged By its Cover? When will we all get it straight and realize that the ‘Assyrian’ name is taboo and a shameful label not to attach to any community, because it was connected to the ‘heretic’ Nestorians whom later dared to adopt the ‘Assyrian’ name and attached it to their ‘holy’ church replacing the ‘heretic’ label. Yet ironically, the faithful of the Assyrian Church try to identify themselves today by the ‘Nestorian’ label again, which was publicly denounced by their own Patriarch. The ‘Nestorian’ label is back in use in a shy yet shameful attempt to avoid the contradicting equation of being the whole and part of the whole at the same time! Because no logic or sane person will agree that Assyrians are one people composed of Syriacs, Chaldeans and Assyrians! Hence the ‘Nestorian’ label is back in use! Until the Beatitude Patriarchs and clergies of the Suryoye (Syriacs) and the Chaldean churches would ‘forgive’ the ex-Nestorians, i.e. Assyrians, from their ‘sins’ and denounce publicly their false claims of the ‘heretic’ faith of the Assyrian Church, until then nothing will force the congregations of these churches to accept any genuine unified name. Until the heads of the three churches admit their unity and accept each other’s faith truly and honestly without any doubts or deceive there will be no national unity between these three factions. The same churches that once divided this blessed nation must realize that it’s their ‘holy’ sole responsibility to reunite this nation once again and prove their words by factual deeds. Let me conclude one more thing on what we hear these days very frequently about our religious leaders abstaining from any interference in the unity efforts being considered as political issue, despite of the fact that some other lower ranking clergies are deeply involved in the political conflict, publicly and otherwise, and some are even advocating for a final and permanent split by promoting new ethnicities to be recognized in the Iraqi constitution! Let it be clear that this claim is bogus and such interference is neither political nor ethnical, as some of us prefer to claim it to be. This long awaited and desired clergy involvement is rather a religious leadership stand that demands from them to demonstrate their courage to recognize each other first and to renounce their religious differences and to announce their acceptance to each other publicly and without ambiguity to their congregations. Moreover, they are required to preach in their Sunday prayers and their daily blessings for the unity of this blessed people. I dare all the patriarchs to take this historic step and to assume immediately their real spiritual leadership responsibilities to meet and announce such historic declaration and to make in this century the dream that comes true for all of us. I dare anyone who claims that we will not be a re-united nation once again. I dare anyone who claims that most of these ‘paper’ so-called political parties will not disappear as soon as this step is taken and the march toward real unity has begun. I dare anyone who claims that we will not be discussing shortly after our national issues on the International level. As it stands now and under the current Assyrian political infrastructure, what we demand and expect from our warrior politicians is rather unfair and sometimes it borders on abuse. The return on our individual investment has been reasonably moderate knowing that our individual investment (support) has been at the best, very minimal to non-existent. This is not so when it comes to words of complaints and expressing our dissatisfaction. Consider if you will, most of our politicians for the past thirty odd years have offered their time by choice and mostly on part time basis. Only a few have been full time. So, to be fair, the balance of performances rendered by some of our politicians vs. our own personal investments be it in active voluntary time, financial support or ideas, the performance far exceeds our own contributions. In other words, the Assyrian public would be hard pressed to lodge any complaints. Now stop and think for a moment. What we are investing in is our Nation’s futures then please ask yourself if you have really and truly done enough. Aside from a few political entities, most of the affairs of this nation have been conducted and run by sheer determination of some concerned individuals either on weekend or a few hours a day. A nation’s business carries enormous tasks while we, the sons and daughters of this nation, remain as a distant bystanders sitting on the sidelines demanding miracles and breakthroughs. I am certain you will find how absurd our situation is and why our progress has been negligible and in some areas a total failure. Is it any wonder that our small successes have been in short and isolated spurts? None of these political bodies have enjoyed the entire support variables needed to be successful. If the objective is to produce results and make serious strides forward and see our nation’s business experience success then we need to assemble such a team of people who are amongst the best and brightest and we the people ought to ensure that this team is fully supported and given the best tools possible. Equating this with any other profession you will quickly come to the conclusion that it is a very important step to assemble such a team. We can dream and suggest all we want but without the support of the masses we need not bother talking about a nation. Our people ought to realize that we do, indeed, have the obligation and must have the commitment in order to have the right to a vision and a future. With such a support we are able to pay for the most capable people, Assyrians and if need be non-Assyrians. We would be, in essence, investing in blue chip stocks. It is not the same when you deal with a fly by night organizations with minimum wage hired hands working part time. Any good broker would tell you that you are, inevitably starring at political bankruptcies. This is not a slander against our organizations. I am being realistic and trying to reconcile why I have the right to be at odds with these organizations and parties. At the same time I want to earn the right to have a constructive contribution in building a future for my people. The proof is that over so many decades we have not made any meaningful progress until recently when we have had a few full time politicians willing to work day and night for the benefit of this nation. Even then they have to scratch and claw their way to achieve what it can with what they have as budgets. We the people of this nation so far have been derelict in our duties and the truth is known as each and every one of us will admit that such a fund is a must, yet over the years we have kept a tight fist and have insensibly refused to dig in our pockets to help secure a steady flow of tangible support for our nation. We have become so insensitive to the point that we are not willing to contribute a small monthly sum for this financially poor nation. We have heard all the excuses of why we have remained so stingy towards helping ourselves. Our payments have been in the form of constant complaints. We justify our complaints by virtue of been part of this nation, yet when it comes to dollars and cents we turn into slippery, slithery eels. Perhaps, it would be more appropriate that this should have been the title of this article. Once in a while we should look inwards and see what it is that we are doing for our nation. Let us leave the administration and accountability of such a fund to the professionals. I am sure there are thousands of people more qualified in telling us how this can be achieved. The issue is, this nation lacks financial support and if it cannot garner it from other resources then is up to you and me. We need funds. Anything else is just empty talk. Like any other movement we need to start today. I call it a “movement” because we require all our people to join it. We are not forming a party. When we join a party we are in essence marrying the ideology and are obliged to tow the shifty party lines. In a movement, there is no party line. We move as a nation that has just awakened to take control of its resources in order to carve a better future and accelerate the process. The most precious resource is our talented people. Most of them are busy making a living by putting their full time for someone else. This nation has to be able to hire the best talents available. Imagine having them working on a dozen of different initiatives. I am sure that would only enhance our chances in achieving our objectives in the shortest possible time instead of decades. I will agree with you if you think this is rather too simplistic. However, in the fullness of time we can learn to perfect the process. We might even fail a few times. How can you blame us? This has not been tried before. It is a risk worth taking. I am willing to put my money where my mouth is. Many people within our community here feel the same. I am sure you will too! Think of your contributions of (say sixty dollars per year) as an investment. Let us hope that one million out of the three millions that we have will demand that this become a reality. You do the math. Who will tie the bell to the cat’s neck? There has to be a two dozen good people that can drive this initiative by administering this fund. Why is it that no one entity has really given this an honest attempt? Let us hope that this is given a good listen and within this year. The signs will be there at the first six months’ mark to know whether it is a good investment or otherwise. The rest is up to us. My goodness people, this is for the sake of reviving the greatest civilization this world has known. You can spend your sixty dollars in good health but please remember this: without a nation we are the poorest of the poor. In a visit to The United Nations, Iraqi Foreign Minister Hoshyar Zebari said `We believe to complete the transitional process and build on the political achievement to date we need the MNF to continue providing its essential contributions to our security,"
Having lived most of my life in Japan where I was born and raised it was `déjà vu`. Hosting one of the largest series of US Military Bases overseas, we grew up with this constant dichotomy. As a young Child I remember enduring `Yankee Go Home` demonstrations, sometimes on a daily basis. What always amazed me was that as soon as the US would decide to pull back or close a series of bases there would be a a widespread `Oops - please don’t go`. I think given the situation in Iraq it is important to analyze the similarities and of course the differences. First, In Japan`s case, fully 60 years after the end of the war, unseen as they are it is the US Forces that quietly and behind the scenes enforce the Japanese Constitution. It is because that the Japanese people at the end of the day do not fully trust their own government, let alone any form of a Military. In a very strange sense they trust the Americans but not their own. Having been in Iraq since the time of Saddam I see, hear and observe a much similar reaction. Of course nobody wants to have foreign troops in their country. At the same time, though the feeling on the street in Baghdad, Mosul, Samawa, Dohuk and other areas of Iraq I have been to is very clear. As an Assyrian Christian, in particular I have watched as tens of thousands of our people, the people of Nineveh in the story of Jonah and the original people of Iraq have streamed out of the country, unsure of their future. Fearful of bad governments, Saddam still fresh in their minds the people want the Americans to stay. While as in Japan it is politically correct to demonstrate `Yankee Go Home` and politically incorrect to say `Please Stay` the private conversations I have had in Iraq mirror the conversations in Japan. People will demonstrate publicly against the US but will privately tell you very clearly that they want the US to stay. make a difference in the world at the end of the day people throughout the world trust the United States. Imran Khan, the Pakistani Cricket Hero, now a member of Parliament and the source of the recent controversy over the flushing of the koran down the toilet said in an interview `While many in the moslem world will say things against the United States if the visa opportunity for the United States were to be opened many if not most would go.`. I think this man, no friend of the United States and the one who inflamed passions throughout the moslem world when he held up a copy of Newsweek at a press conference provided the answer to the question. With very few exceptions most moslems live in countries without any freedom of expression, worship, press or any of the basic freedoms we hold dear. As in Japan where the same type of `Political Correctness`, albeit much gentler reigns most people know well that for all her faults America truly tries to do good in the world. I will never forget standing together with a group of neighbors in Baghdad on a cool, winter evening and listening to them quietly say as we talked about the days events `We want the Americans to stay forever`. Their greatest fear as the Iraqi Foreign Minister echoed in his speech to the United Nations? That the US would tire and leave. As Alexis DeToquiville commented on America so many years ago `America is great because she is good. If she ever ceases to be good she will no longer be great`. The lesson of Japan for Iraq is very simple. Japan is a success today because of one very simple reason. The Americans insisted on a Constitution that would be secular, democratic and strong. If there is any fault in the situation in Iraq today it is that unlike Japan, in Iraq the US has not listened to the voice of the people regarding a constitution. The Iraqi Constitutional Committee previously voted that there should be no mention of religion or ideology in the Iraqi Constitution, clearly the voice of the people. The current Iraqi Constitution in Article 7 `Islam is the official religion of the state` in direct contrast to the feelings of the vast majority of the Iraqi People. Will Iraq succeed as Japan did? It hinges on the ability of the US to insist, as it did in Japan 60 years ago on listening not to the politicians, the pundits and the naysayers, but to the people. Karin Eshagh hopes to make medical breakthroughs to benefit the world someday, but right now she is concentrating on the finishing touches of her graduation speech. The 18-year-old Turlock High School senior is one of approximately 500 students who will graduate Friday at Joe Debely Stadium [Turlock, California]. She is one of many Turlock High students who will be shipping off to college this fall. Eshagh will attend Stanford University and study medicine to possibly become a cardiologist. She said the past four years has been a hodgepodge of different events and feelings at Turlock High. “There was an accumulation of challenges, obstacles, support from others, and memorable moments,” she said of her time at school. Eshagh is not nervous about delivering her speech at the graduation ceremony, but she has not had much time worry about it. She added she will miss joking around with her friends during good times. She also said she will cherish those moments when her and her fellow seniors were in moments they never thought they would get out of. Turlock High provided some valuable experiences the seniors will remember for some time, Eshagh said. “I think high school was a big preparation for the future,” she said. “It’s a model for many things to come in the future.” Eshagh’s immediate future consists of taking a trip to Canada and getting a job for the summer. Her ultimate career goal of finding new discoveries in the medical field may take Eshagh to many parts of the globe, and she is excited about the possibility of making advances in medicine. College will give Eshagh the opportunity to meet new people and face new challenges. “I hope to make the best of those challenges,” she said. She described college as a new world where students are largely on their own. She said that world is different than high school, where students are able to rely on their parents. 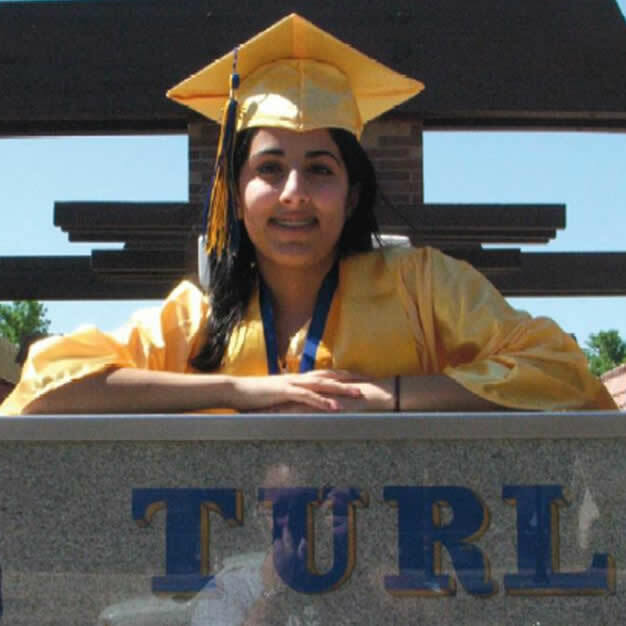 Zinda: Ms. Eshagh and her fellow Assyrian classmate, Dimeil Ushana, are among the 16 Turlock High Distinguished Scholars [from a class of 500 graduating students] who wore their gold gowns to distinguish their academic achievements Friday at Turlock High’s graduation.